Craig A. Bernecker, Ph.D, FIES, LC, is founder of The Lighting Education Institute(LEI), an educational initiative focusing primarily on lighting education for professionals in the lighting and buildings industry. Dr. Bernecker also currently teaches in the Masters of Fine Arts in Lighting program at Parsons The New School for Design, and in the Graduate Architecture program at the University of Pennsylvania . 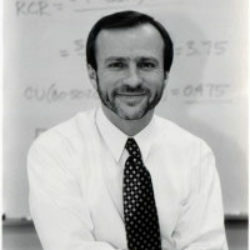 From 1981 through 1999, he directed the lighting education program within the Department of Architectural Engineering at Penn State University . During that time, the program achieved a reputation as one of the premier lighting education programs in the United States . While at Penn State , Dr. Bernecker also developed a number of lighting education programs in continuing and distance education. He has published more than forty articles on research and education in lighting design and illumination engineering and is known for his work on the psychological aspects of lighting. A Fellow of the Illuminating Engineering Society of North America, Dr. Bernecker has also served the IESNA in several officer positions, including President of the society.